the bark that half moons the split log. So says the axe head and sweat lacquered shaft. carrying wood in his arms like a babe. 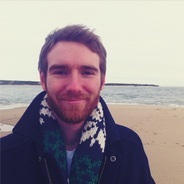 Keith Leonard is the author of Still, the Shore (YesYes Books), a chapbook of poems. He has held scholarships from the Bread Loaf Writers’ Conference, the Sewanee Writers’ Conference and Indiana University. His poems are forthcoming from Colorado Review, Gulf Coast, and Redivider, among others.